As I’m not using a stk500v1, just a serial connection, what should I adjust in IDE 1.6.4? This setup is designed to be used with a programmer(like USBASP), not with bootloader (ie not working with serial connection). 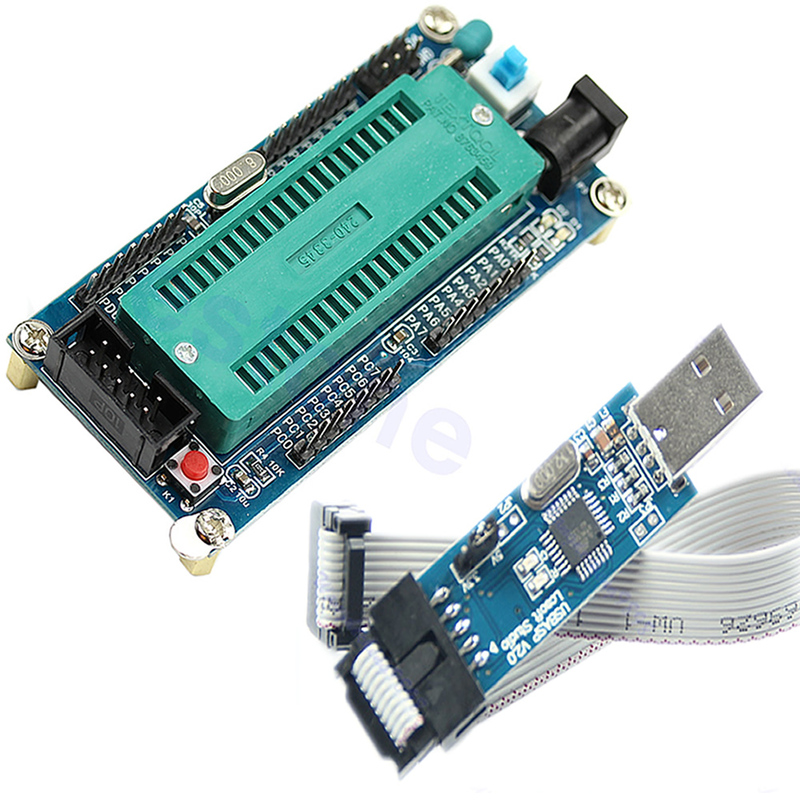 The easiest is to connect a USBASP(to computer and to atmega) and select Tools->Programmer->USBASP. And will work without any problems. Why I did in this way? To put a bootloader in ATmega still need a programmer… not only to put a bootloader, but also to set fusebits according with this … And some flash memory would be occupied by bootloader. So I decided not to use at all bootloader(uploading via serial). A USBASP is cheaper than a standalone microcontroller in retail shops(and has an Atmega8 inside). When you use an Arduino board, microcontroller is already configured/programmed with the bootloader and fuse bits. But when you use a new(blanc) microcontroller you have to do these steps on your own. But still is needed to set fusebits at first use. it looks like a problem of the ide !! serial baud has same defect ! I download the json,some problems encountered in the use of. Thanks for the nice tutorial. I’ve used it to work with ATMega32APU. But, no matter what board I use (8MHz or 16MHz) in Arduino, the timing is off. When uploading the Blink sketch with Arduino as ISP, I get the same, quite slow blinking (maybe 7sec off, 7 on). Changing the Xtal from 8 to 16 does not help… I use this kind of breakout-board: http://imgs.inkfrog.com/pix/smoothdealer/27362_23395-A0.jpg . Basically it just brings out all the pins, has some capacitors around the Xtal. But how and where do I change the fusebits? Boards.txt, hardwareserial.cpp? 🙂 I also have this development board. Modifications in HardwareSerial.cpp are required for serial communications work… but there it is not about fusebits. Same issue here, JTAG is disabled. PC3 is working when replacing it with just 19. I followed the steps. Then uploaded the sketch using Arduino as ISP. I am not using an external oscillator, so I selected ATmega16-8MHz. The program is now running at around 1/8th of the speed. The one second blink set in the sketch is taking around 8 seconds. I am not able to figure out what I did wrong here. You can ignore this warning “missing whitespace after the macro name”. Anyway, I think is not from this library. In case of arduino IDE 1.8.5, is the step No. 6 required ? I tried to edit HardwareSerial.cpp however didnt found the lines which you explained in step 6. I’ve noticed that “work is in progress for V1.01 which includes support for atmega1284P. Can I already use this (or a PRE-) version? I’m stuck with my 1284P and cannot get it to work. are you still working on Version 1.0.1. or is it available and if yes, how can I upgrade to that version?